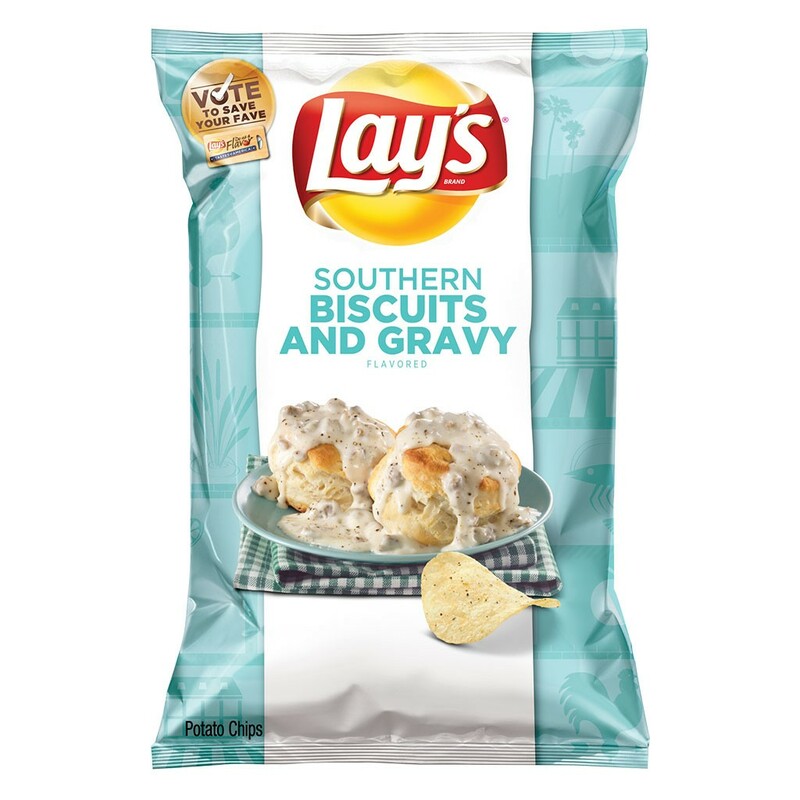 Seriously brave chip lovers around the country, get excited: Lay’s is giving Southern Biscuits and Gravy a permanent place in your grocery store aisles. The flavor, created by Hailey Green from Indiana, won Lay's "Do US A Flavor" competition last night after a months-long vote by consumers. So what odd concoctions did biscuits and gravy beat out? Sadly, you will never again be able to bite into a Rueben-flavored chip, a Greektown Gyro, or a wavy, fried potato slice that tastes like truffle fries. The competition has been creating weird flavors since 2012, with last year's winner being a spicy Wasabi Ginger chip. Yahoo Food had a chance to blind taste the chip and described it as "savory, almost meat-like in flavor" with "hints of rosemary." Whether a "meat-like”–tasting potato chip appeals to your taste buds or not, this chip flavor won Green $1 million or 1 percent of her flavor's net sales through next July, whichever is higher. The three runner-up finalists didn't walk away empty-handed: They were given $50,000 for their odd creations.